The wait is finally over! The highly anticipated content update has arrived, packed with juicy content that will make you start new characters and keep playing your main way past level 80! In this article, you'll get in-depth information on the various new features and understand what you can really expect out of the latest installment to Heroes of Three Kingdoms! First, let us start with the meat and potatoes of the game, the weapons. We are very excited to introduce these because not only are they the most anticipated, but they are extremely fun to play. The line-up includes Ringblades, Multiblade, Cleaver, and Hammer. Each weapon is unique and offers a fresh combat style no other class can. Ringblades are so versatile. it offers everything from instant high burst damage attacks, to numerous evasion techniques, all the way down to powerful area-of-effect abilities. The Multiblade is superior for mounted combat and deals devastating damage both at range and up close. The Cleaver can kill with ease but lacks speed. In other words, it's a strategist’s soul weapon. You must plan your attacks carefully to be successful, as a true warrior would. 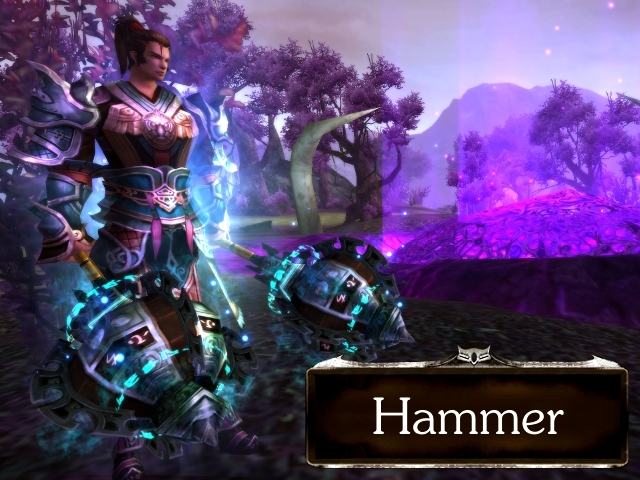 Lastly, the Hammer is a weapon of pure offensive might and is considered to be the deadliest close-range melee weapon, offering expert control and counterattack abilities. Players who have reached level 80 may feel like their journey is done, but it's far from over. Taking on the role of a Hero is what you'll be able to do once you reach level 80 and are rank Legend IX in your primary weapon class. Taking on this role allows you to gain Hero Levels which start at 1. In other words, your first level after 80 will be Hero Level 1, essentially becoming 81. There are a total of 50 Hero Levels to achieve, which you receive by questing in the new areas of Luoyang, Caoyuan, Donghai. You'll be able to participate in the epic battle of Chi Bi (Red Cliff) as you take control of naval ships and wage war like never before! There must be 100 Heroes of at least level 1 before this mode is activated. Once active, players that are level 40 and have chosen a faction may enter the battle depending on which states are currently at war. Because players can start at level 40, there are 2 divisions of the battle. The first is level 40-80 and the second is Hero level 1-50. Certain players will be given the power to command a ship as a helmsman, fulfilling a very significant role. Introducing the new playable race to Heroes of Three Kingdoms, the ancient Miao are a people who live off the land. Dwelling in the southwest region of Yizhou for countless generations, they’ve survived due to their exceptional hunting and efficient, yet simple architecture. In their culture, the men are born to be warriors and protect their people during war. The women on the other hand have a much higher population and control order and influence cultural practices. Because they worship the fire god, Zhu Rong, it’s only natural that the supposed descendant, Lady Zhurong rule alongside Meng Huo. Not only has the entire user interface been redesigned with new graphics, but we've also included numerous improvements to navigation and organization. First up, we have Tael being converted into Vigor. The Vigor cap has now been raised to 10,000 and any accumulated after that will be received at a slower rate than normal. You can now search the Marketplace if you're not sure which section the item you're looking for is in. A bobbing green arrow now appears on the zone map to make it easier to find your current location. A new Game Guide feature has been added, showing you the quests you will need to complete in order to unlock certain titles. Lastly, you have the ability to toggle the NPC/Monster list off and on in the map window, making it easier to see the entire map of whatever area you're looking in. The anticipation can only grow further after learning about all these features and additions. So, which weapon will you try? Are you ready to take on the role of a Hero? 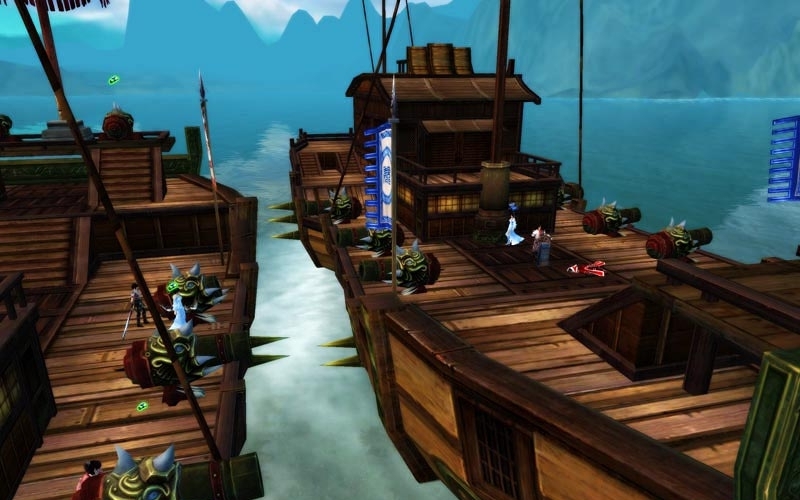 Will you be the commander of a vessel during the battle of Chi Bi? Will you reach the prestigious Hero Level 50? What will YOU do now in Heroes of Three Kingdoms?! Content update available after maintenance, 10/27. Are you ready to take on the role of a barbarian? Do you love to wage war and take whatever you want? If so, the Miao need you! In this spotlight, you’ll get background information on this new playable race and discover their way of life! The ancient Miao are a people who live off the land. Dwelling in the southwest region of Yizhou for countless generations, they’ve survived due to their exceptional hunting and efficient, yet simple architecture. They utilize no modern luxuries and their clothing isn’t made from the finest silk or shiniest jewels. They dress themselves with the hide and fur of animals they kill and craft eating utensils from the clay they gather. Like any tribe, they worship a god and structure their lifestyle around tradition. Because the Miao worship the fire god, Zhu Rong, it’s only natural that the supposed descendant, Lady Zhurong rule alongside Meng Huo. In their culture, the men are born to be warriors and protect their people during war. The women on the other hand have a much higher population and control order and influence cultural practices. Get ready to battle countless Yan and engage in epic battles! But first, you have to display your worth of the Miao name. Chuannan serves as a proving ground to new warriors so it’s here that your wits and might will be tested! We are proud to introduce this new playable race to Heroes of Three Kingdoms on top of all the other great features. Will you stand by the Yan or become a barbarian? Where will you be when the Miao invade?! Currently, the expected delay for the content update is one week, 10/27. *UPDATE - 10.20.10* This article has been updated to reflect the new release date. The content update has been delayed and is expected to release on 10/27. We are working to get it up before then, stay tuned for more info! That's right folks! 10.27.10, get ready! It's our pleasure to finally bring you this highly anticipated addition to Heroes of Three Kingdoms! Throughout the past couple of weeks, you've seen articles on the new zones and one of the new weapons that will be available for use. Now, we bring you a detailed list and description of the many features you can expect! • It is now possible to create characters of the Miao race. 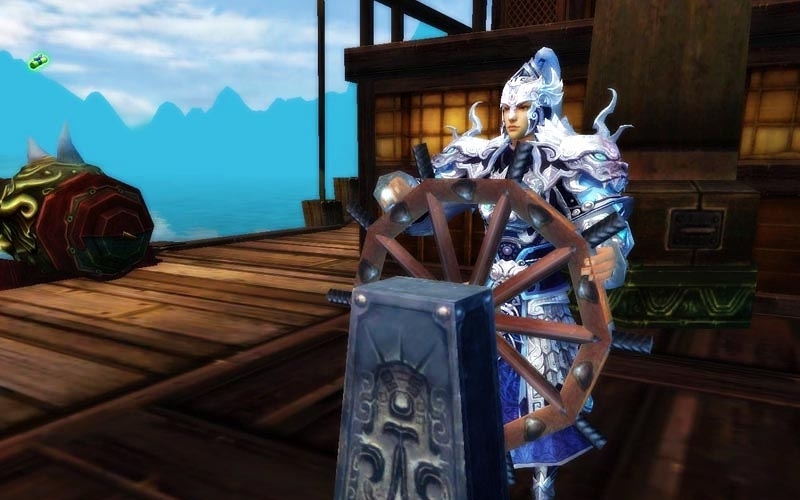 These characters will begin in the newly discovered land of Chuannan, and upon reaching Lv.16, will continue questing in Xiliang alongside our previously existing race, now known as the Yan. • Characters who have reached Lv.80 and the rank of Legend IX in their primary class can now unleash the Hero within and continue on to gain 50 additional levels. 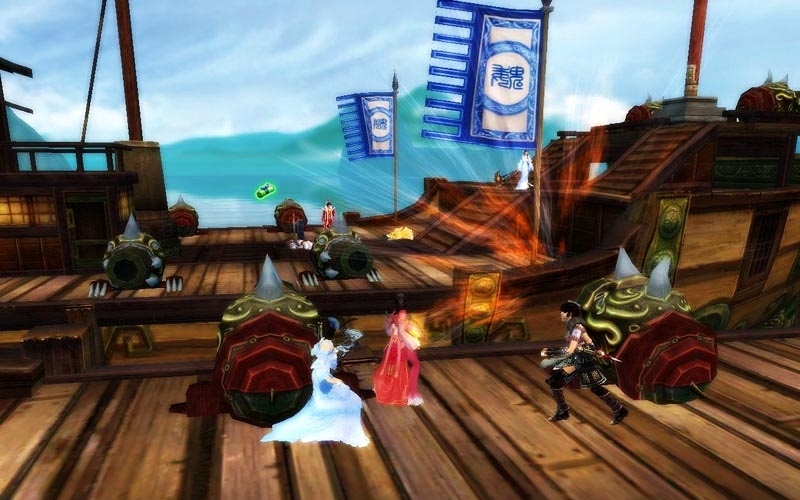 You will need to gain Hero EXP in order to gain these new levels, which can be earned by questing and killing monsters in three brand-new zones: Luoyang, Caoyuan, and Donghai. You will continue to gain normal EXP at the same time, which is useful if you want to try out any of our new weapons as a secondary class! 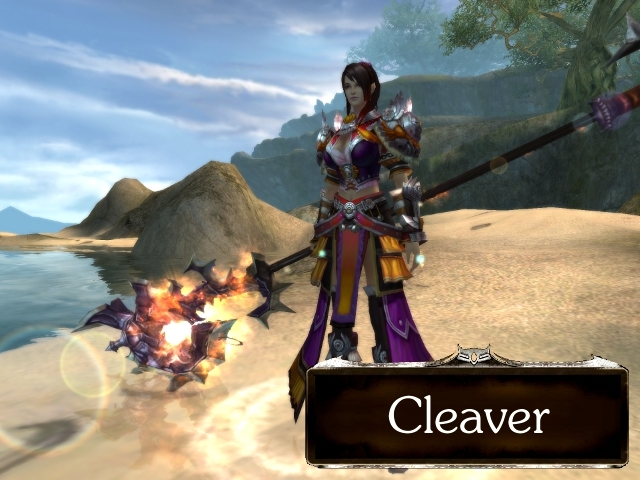 • Cleaver, Hammer, Multiblade, and Ring Blade are now available to be selected by any new character, or by existing characters that have reset their class using a Weapon Tome. The Multiblade is the newly redesigned Trident, renamed because it doesn't really look anything like a trident, but is instead a type of sword with multiple blades paired with a thrown shuriken-like blade held in the left hand. • A new form of bound currency called Funds has been added. This currency is awarded from certain quests and your daily rank salary. It uses the same Jade/Gold/Silver/Bronze format as normal money, and is automatically deducted first when performing certain actions, such as repairing gear, learning skills and recipes, and buying items from certain NPCs. Funds cannot be used to buy items from other players, or from NPCs that do not accept Funds. • For added flexibility, Tael has been combined with Vigor. All Tael vendors now sell their items for Vigor. Events that previously rewarded Tael now reward Vigor instead, including the Monthly Pay event. • A new Game Guide feature has been added, showing you the quests you will need to complete in order to unlock certain titles. • It is now possible for Factions to capture the Strategic Areas of Ziwu Valley, Qixing Lake, and Baidi City. • The entire user interface has been redesigned with new graphics, though the panels and buttons have a similar layout as before. • Newly learned skills now appear on an invisible bar just above your shortcut bar, allowing you to easily place them on your shortcut bar without needing to open the skill interface. • A bobbing green arrow now appears on the zone map to make it easier to find your current location. • The map info panel containing the list of NPCs and monsters can now be hidden to allow auto-route clicking on parts of the map covered by this panel. • It is now possible to search the Marketplace if you're not sure which section the item you're looking for is in. Be aware that this search is case sensitive. • Events for all days are now visible on the Event Calendar at the same time, with each one clearly marked if it only occurs on certain days of the week. • Leopard Hearts and Silverfox Tails can now be purchased for the quest, Delicate Trinket. So there you have it. Are you prepared to take on the role of a Hero? Prove it on October 27th, 2010! 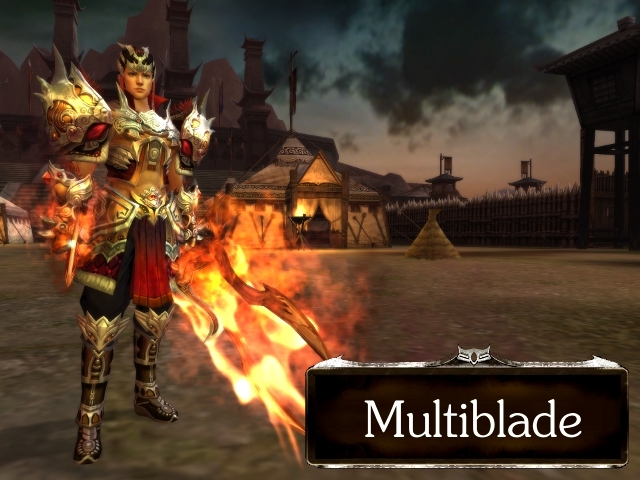 If there is any class in Heroes of Three Kingdoms that cannot be defined for filling a specific role, Ringblades would definitely be the one. Having been highly anticipated for quite some time now, we are proud to finally give you a sneak peek on what you can expect from this highly versatile class in the upcoming content update. 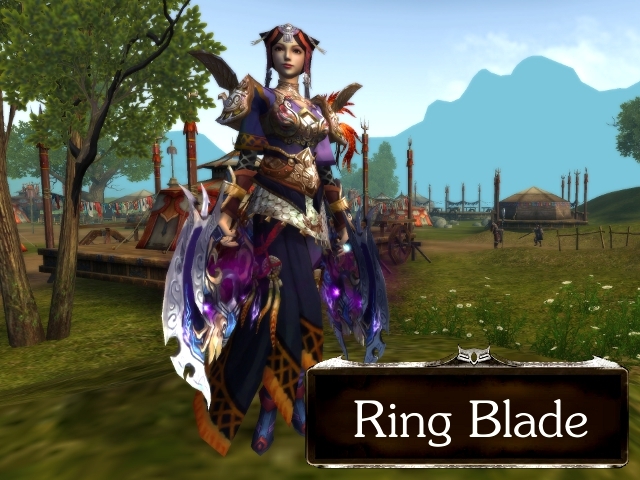 Everything from instant high burst damage attacks, to numerous evasion techniques, all the way down to powerful area-of-effect abilities, Ringblades are a class that can adapt well to any situation. Here's a preview on what you can expect. With a lifespan of 47 seconds, the orb does a high amount of work in that time frame. As soon as it's summoned, it's able to deal damage every other second, equal to 10% of your maxium Attack Power while also dishing out additional damage that completely ignores defense. If you like solid finisher abilities, then you're going to love to end the fight with this devestator. Once activated, your pent up energy is expelled in a burst of wind and lightning which then spreads from you in the form of a tornado, affecting anyone nearby. While this skill can be considered an area-of-effect attack, it's designed to finish off your initial target while transitioning seamlessly into your next one without missing a beat. While most of the Ringblades skills require a fair amount of Chi, that resource will never fall short while this ability is activated. Lasting a total of 43 seconds, Taunt allows for your Chi to regenerate by 5 each time the target is hit. Before you even think of which powerful Chi based attack to use, the meter will already be maxed out, possibly allowing for multiple finishers! However you choose to execute your plan of attack, you can be sure that this class will offer a variety of playing styles in a variety of different situations, while still remaining easy to master. Wield the Ring Blades on 10.20.10! Are you ready to battle, explore, and immerse yourself in brand new lands?! Prepare to become a Hero and battle fierce enemies. Pick a side as we introduce the Miao and Yan factions. And lastly, wield the weapons you've been waiting for! Get ready because this content update is right around the corner! This beautiful, lush land is home to the new playable faction, Miao. Overgrown with vegetation, lakes, and beaches, the area lends itself nicely to their barbaric lifestyle. We are extremely excited to introduce these new zones and are confident it will provide an entirely new experience. “Expendable” wouldn’t apply to this class in the least bit. Contributing sustained damage-per-second, powerful healing and area-of-effect spells, the War Fan is in a class all its own. Decimate your foes using focused power from the elements! Harness wind to offer support through rooting, healing and high damage ranged attacks. Keep your enemies at bay as you freeze them in place and slow their movement with every relentless ice attack. With these two elements combined, there’s no telling what a War Fan wielder is capable of! This skill provides as a great offensive and defensive tactical maneuver. With the ability to teleport anywhere within 25 yards, you can surprise an enemy in the distance or evade threatening danger. Aggro too many monsters? Call upon a storm to rain down bone shattering chunks of ice! This area-of-effect attack damages multiple targets simultaneously and last up to 7 seconds, lending outstanding support in a party. Why not warm up before a fight? This buff improves health recovery rate out of combat and stacks up to 3 times, each time increasing the recovery rate. Additionally, numerous other skills get a substantial improvement while under this effect. We are proud to finally introduce this class to HoTK and are confident that it will offer a whole new playing style with a wide variety of exciting skills. So what are you waiting for?! Fill that spare character slot up with your brand new War Fan character! Previously greyed out in the character creation screen and weapon selection screen (when using a Weapon Tome), now you can wield the power of skill combos! The effects of the skills depend on the way you combine them in your flurry of attacks! When creating new characters, you'll now have access to the Halberd. Existing characters will be able to switch to this new, brutal weapon through the use of the Weapon Tome, found in our Marketplace (press "J" in game). Wield the skill combo power of the Halberd today! Welcome to the Heroes of Three Kingdom's Open Beta Launch!  Admist the chaotic warfare of the Three Kingdoms era, we saw players work together to help build a vibrant and exciting community. As Three Kingdom fans ourselves, we are also very excited about the lore that players have embraced. Also join our Facebook Page: http://www.facebook.com/hotkmmo where you can find exciting news and events.